This Hercules leather big and tall drafting chair features 5" thick, contoured cushions for support in black LeatherSoft. LeatherSoft is leather injected with polyurethane for added softness and durability. 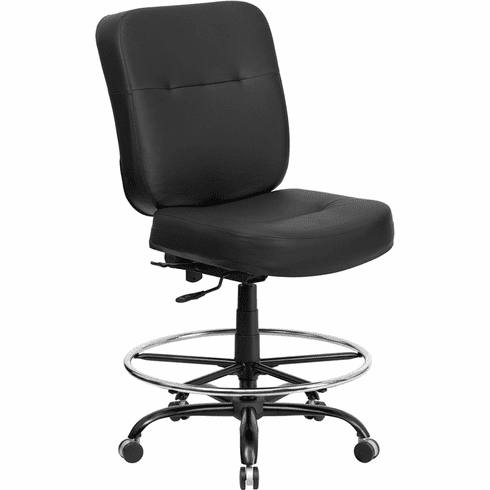 These big and tall leather drafting chairs normally ship in 1 business day from our GA warehouse.